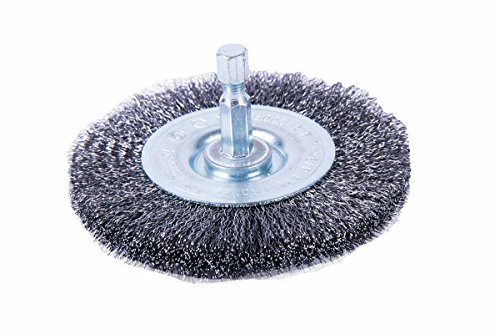 The Forney 72743 5-Inch Crimped Wire Wheel Brush is great for cleaning and blending surfaces, removing light burrs, paint and corrosion. 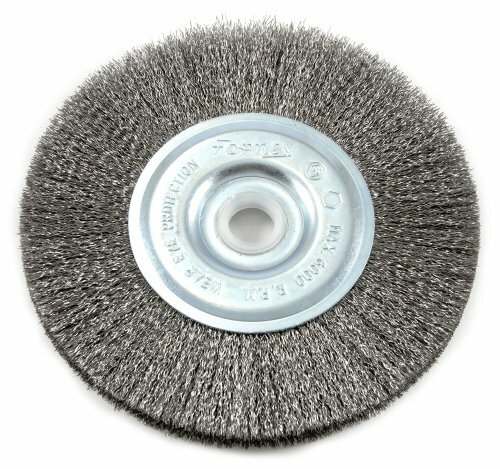 Used for light to medium duty brushing action. Forney Industries is one of America's longest operating family-owned metal working product companies. Founded in 1932, Forney offers more than 5,000 products for the hardware, automotive, farm and ranch and do-it-yourself markets. 5-Inch (127-mm) by 0.008-Inch (0.203-mm) with 1/2-Inch - 5/8-Inch (12.7-mm - 15.88-mm) arbor sizes. Max 6,000-RPM. Claims for warranty must be made within 90 days of the date of purchase. Proof of purchase required. This warranty does not cover any product that has been subject to misuse, neglect, negligence or accident, or that has been used in any way contrary to the purpose intended. 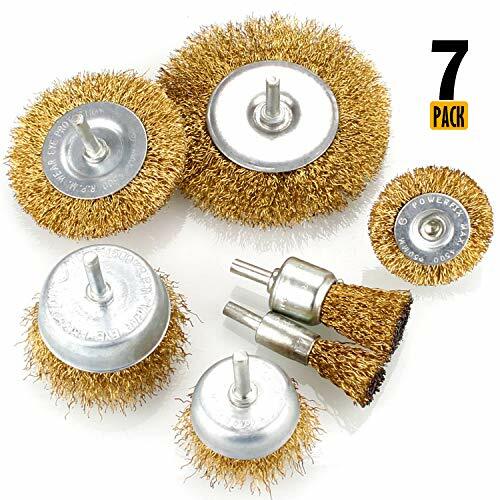 Set includes crimped wire wheel, 1/4" stem, 3" diameter, crimped wire cup brush, 1/4" stem, 2" diameter, crimped wire end brush, 1/4" stem, 3/4" diameter and abrasive flap wheel, 80 grit aluminum oxide, 1/4" stem, 3" diameter, 4 pieces in set. 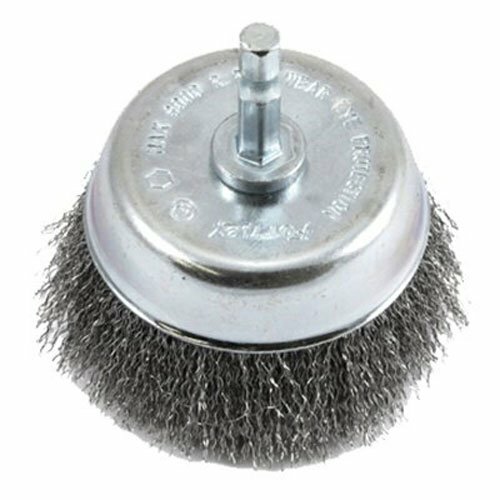 The Elitexion Thread Cup Wire Wheel Brush is made of high quality wire constructions. 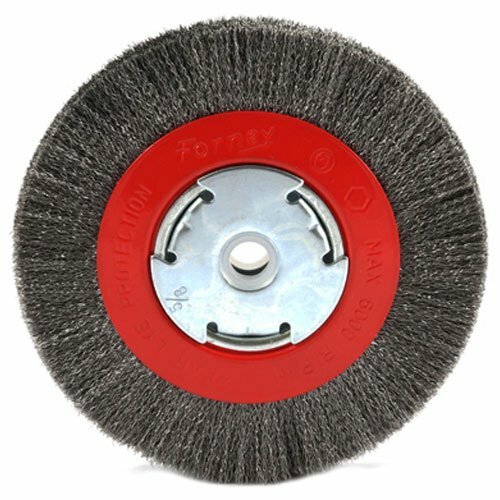 It helps you remove debris from wood and metal surfaces. 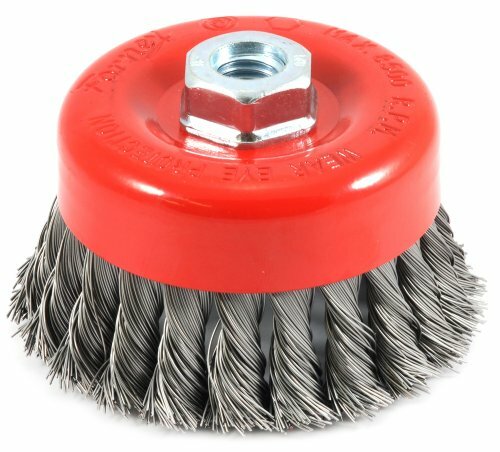 This is ideal for cleaning and polishing steel, brass, and copper objects. 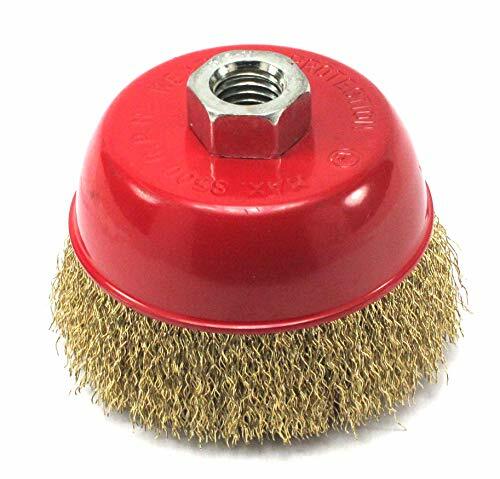 Also, works well for removing rust, paint and corrosion. High quality wire constructions long lasting use. 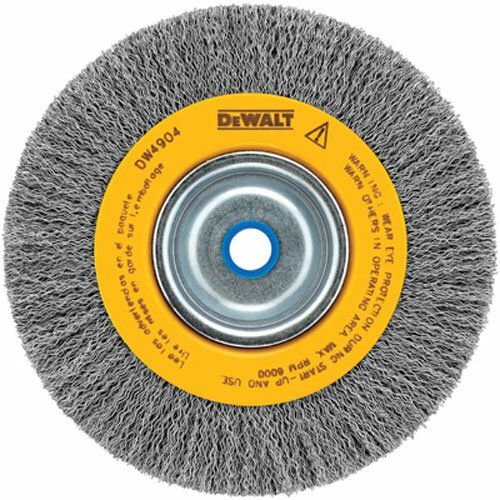 Helps remove debris from wood and metal surfaces. 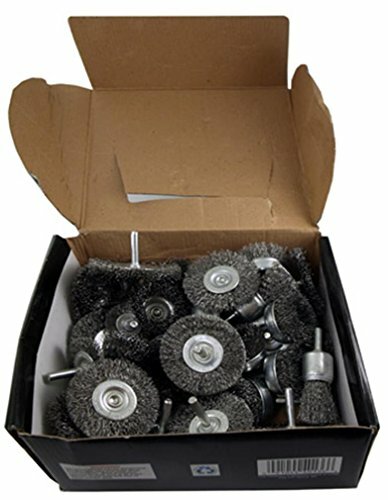 Ideal for cleaning and polishing steel, brass, and copper objects. 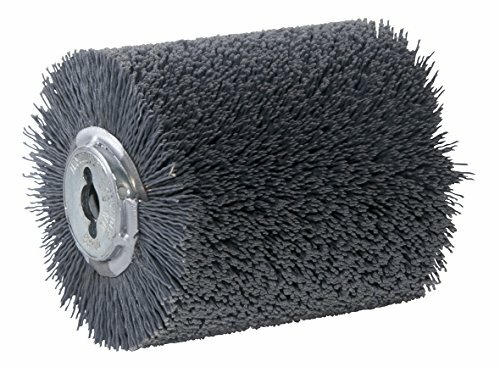 Works well for removing rust, paint and corrosion. 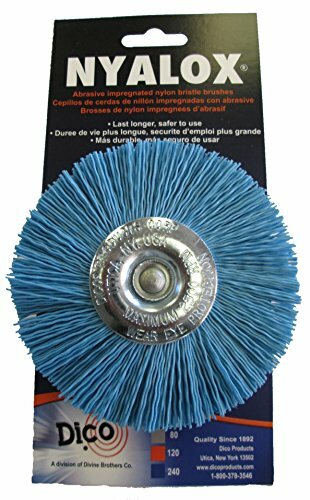 4" Nylox Blue Wheel brush, fine. 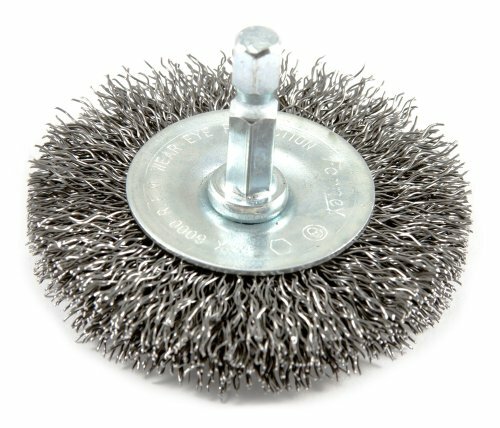 The Forney 72753 4-Inch Knotted Wire Cup Brush is ideal for fast, heavy duty cleaning of large surfaces, removing weld scale, rust and burrs. 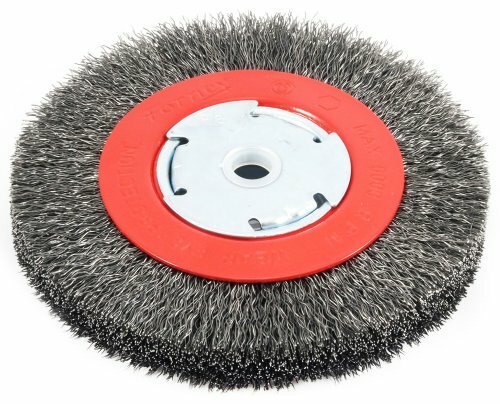 Designed for use in high speed electric drills. Forney Industries is one of America's longest operating family-owned metal working product companies. Founded in 1932, Forney offers more than 5,000 products for the hardware, automotive, farm and ranch and do-it-yourself markets. 4-Inch (101.6-mm) by 0.020-Inch (0.306-mm) with 5/8-Inch - 11 threaded arbor. Max 8,500-RPM. Claims for warranty must be made within 90 days of the date of purchase. Proof of purchase required. This warranty does not cover any product that has been subject to misuse, neglect, negligence or accident, or that has been used in any way contrary to the purpose intended. 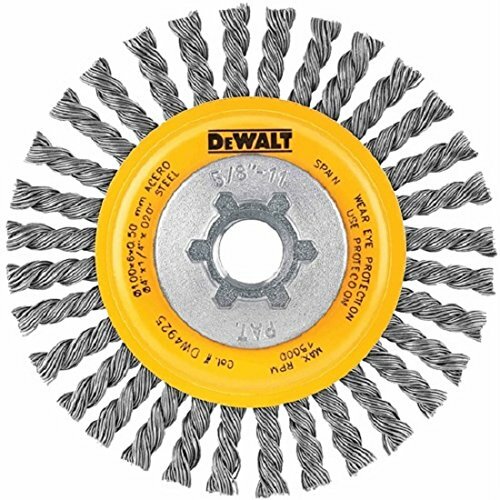 This 3 inch stem mounted wire wheel features a twist knot design that makes it more aggressive with less wire shedding compared to standard crimped wheels. 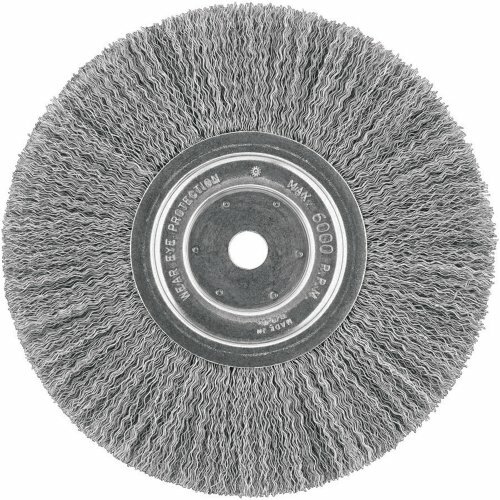 Its high speed rating allows it to be used with most air and electric die grinders (never exceed maximum wheel RPM). 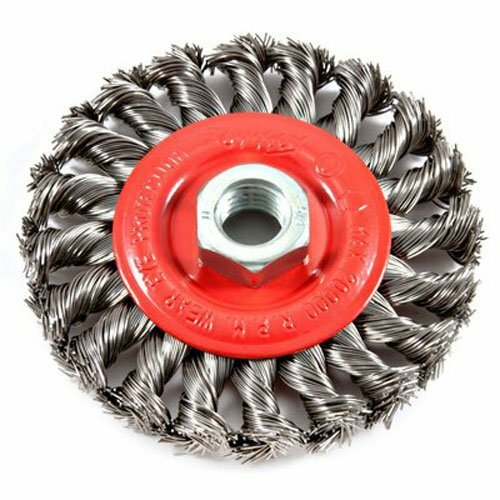 It excels at quickly and easily removing rust and paint and weld slag and is ideal for cleaning weld seams and grooves. Specifications Size 3 inch x 1/4 inch shank Wire Diameter .014 inch Wire Type Carbon Steel Max RPM 25,000. 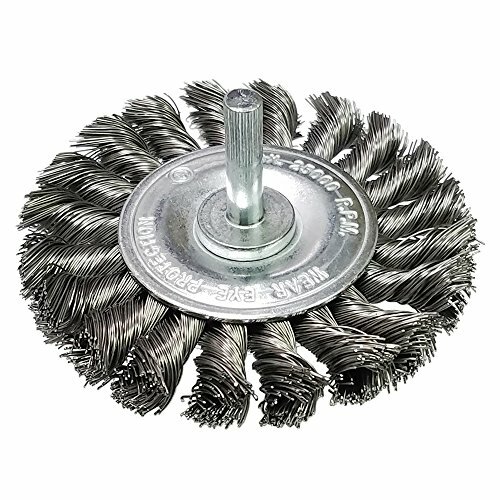 6", narrow face, crimped wire, bench wheel brush, fine, arbor 1/2"-5/8", wire size .008", great for cleaning metal surfaces, blending surfaces, removing light burrs, paint, rust & corrosion, used for light to medium duty brushing action in areas that regular width brushes will not reach. 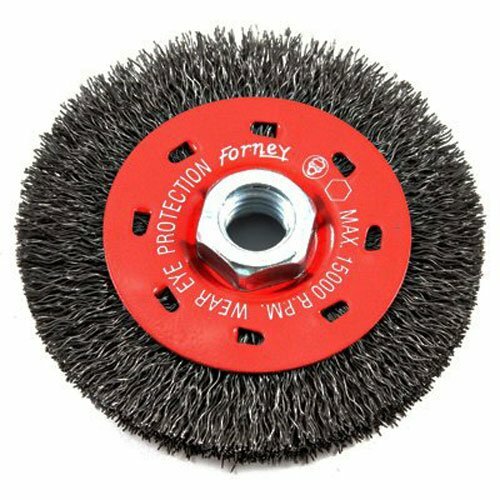 The Forney 72750 6-Inch Narrow Face Crimped Wire Bench Wheel Brush is great for cleaning metal surfaces, blending surfaces, removing light burrs, paint, rust and corrosion. 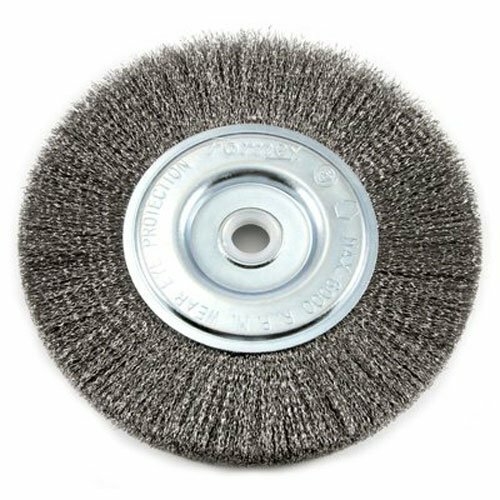 Used for light to medium duty brushing action in areas that regular width brushes will not reach. Forney Industries is one of America's longest operating family-owned metal working product companies. Founded in 1932, Forney offers more than 5,000 products for the hardware, automotive, farm and ranch and do-it-yourself markets. 6-Inch (152.4-mm) by 0.014-Inch (0.305-mm) with 1/2-Inch - 5/8-Inch (12.7-mm - 15.88-mm). Max 6,000-RPM. Claims for warranty must be made within 90 days of the date of purchase. Proof of purchase required. This warranty does not cover any product that has been subject to misuse, neglect, negligence or accident, or that has been used in any way contrary to the purpose intended.